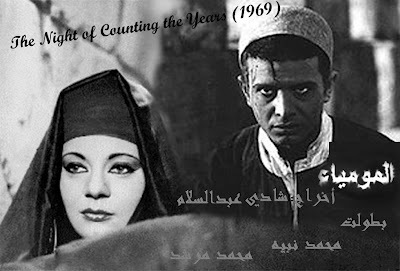 An impressive directorial debut by ex-art director Shadi Abdelsalam, The Night of Counting the Years is an examination of cultural imperialism in reverse: instead of selling Coca-Cola to Egypt, Western merchants are stealing rarities from Egyptian tombs. At first posed in moral terms – should the new chief of an Egyptian tribe allow his people to earn money by selling the antiquities from ‘officially’ undiscovered tombs, or stop the trade at the cost of stopping the flow of money to his poverty-stricken people – the film develops into a study of the importance of defending the past from would-be cultural exploiters. Slow-moving but absorbing, and quite beautifully shot.